What better way to pass the afternoon than at Creek Bottom Brewing enjoying the fingers & bows of bluegrass musicians dancing melodiously across the strings. Order up a table full of delicious food complimented by great craft (or domestic) beer, sit back with your buddies & enjoy some traditional and contemporary bluegrass music. It will make your ears smile… we promise! 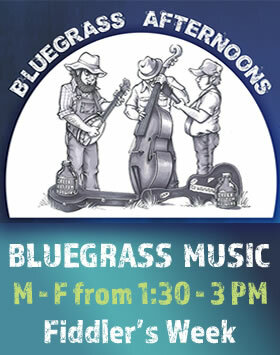 We will be open on Monday the week of The Fiddler’s Convention (August 7) from 11 am – 9 pm.